James Dyas Davidson: Weddings, portraits, pets and babies. DSC_4625 v1, a photo by James_at_Slack on Flickr. With the recent announcement that Getty is giving away thousands of photographers images for free use, another income stream ( let's call it a trickle) dries up. They say the best way to make photography a living is to shoot wedding, pets, portraits and babies. How long is that still going to be the case? 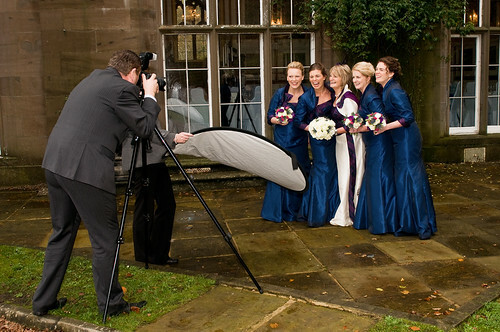 What will wedding photography look like in 5 years time I wonder? Some of the better pet and baby images seen on social media are taken by owners on their phones. I'm not making any point here tonight (too late for that and I'm too tired), I was just thinking about what direction photography will take as the iPhone generation move in. Will they want better equipment or will they stick to an instant form of photography where wedding photos are tweeted as it happens? No more of the above palaver?